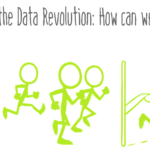 There are many reasons why you would want to document your Excel Power Pivot or SSAS Tabular model in an effective manner:- to better understand your model yourself as it moves from simplistic to advanced, facilitate the use of your model by other users, ability to transition model development to another person and a few more. Diagram View is good, but you can do better . You could automatically build a data dictionary – listing all the Dimensions, Attributes, Measures and their Description – and maintain it with almost no effort at all. Watch the video and read the rest of the article to find out how. We would use Dynamic Management Views (DMV) to pull the schema information from our models, especially the Description field. Have you been using the Description field? Now would be a good time to start. * Allows you to quickly scan or search through the Dictionary. In Power View you can see the description as you hover over elements, but that is a lot of hovering if you are trying to study the model! Also the hover over descriptions are not available for Excel 2013 Power Pivot models (seems like a step backwards). Another scenario, where hover over descriptions are unavailable, is when you are hosting the Tabular Model on an SSAS server and your users are connecting via Excel. Follow the steps below, if your model is already hosted on SSAS or you have it in Excel but have access to a SSAS Server. 1. If you happen to have your model in Excel, but have access to an SSAS Server, you can “restore” an Excel PowerPivot Model into SSAS quite easily. Just right click on your server in SQL Server Management Studio and select ‘Restore from PowerPivot…’ then select your Excel Power Pivot file and step through the options. …so that you can easily filter to only see elements that are actually visible to the end user. 5. Add simple measure to [Dimension], [Measure] and [Attribute] tables so the [Perspective] and [Visible] filters take effect. Simple RowCount does the trick. Your data dictionary is ready to use! Bonus Points: I will not be covering cover this in the article but if you wanted to, you could pull Dimensions, Attributes, Measures all in a single Table and display them more elegantly. I could not figure out how to do a UNION in a DMV query but you can certainly transfer the tables to SQL and then write a SQL query with UNION clause. The preferred approach is to import (Restore from PowerPivot) your Excel Power Pivot model in SSAS (previous section shows you how) and follow the steps in the SSAS Tabular section. If that is not an option, read on. All steps remain the same except the first part of how to query the Excel+PowerPivot model; which I cover in the steps below. But after that point, follow the same steps as for SSAS in previous section. Some notes on usage: Worked fine with Excel 2010, read notes on the Download page about Excel 2013. I did not try it with Excel 2013. Thanks to the team who created the tool, including Marco Russo and Darren Gosbell. 3. 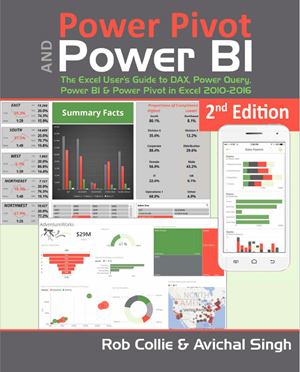 DAX Studio should automatically connect to the Power Pivot model in your workbook. If that does not happen and you see the error message below, read this discussion. I had to make sure I had a measure defined and that I created a Pivot Table in an Excel sheet using that measure. After that it connected to my Excel Power Pivot model without any issues. 4. In the DAX Studio window, if needed change Perspective to Model and Output to New Query Sheet. DAX Studio happily connected to the Power Pivot model (yes, it says Microsoft_SQLServer_Analysis but it is in fact connected to the Excel Power Pivot model). Change the elements shown by arrow. 6. Open a new Excel file and copy paste the output to this new file and then add these to your Power Pivot model (Power Pivot > Create Linked Table). You should end up with four linked tables in Power Pivot: Perspectives, Dimensions, Measures, Attributes. 7. Now follow the SSAS steps in the previous section starting with step 3. As you can see this is slightly tricky to do in Excel, but well worth the effort. Share the newly minted Data Dictionary along with a screenshot of the Model Diagram View with your team and users. Excellent! Is there also a way to capture relationship metadata also for Excel PowerPivot? @Thomas. Try the following. The first one only gives the relationship, second query also provides the column used for the relationship. Thanks Avichal! Do you know if it is possible to capture the formula of an attribute or measure? How did you just “copy pasted the data into PowerPivot” to create the Visible dimension? I’ve never heard of doing that. Figured it out. I did not realize you could copy and paste data from Excel or Word right into the Power Pivot model panel. That is handy. What about this query for the “visible” table (as long as you have both true and false in your metadata)? It worked for me in DAX Studio and SSDT-BI. This is great! I was looking to output the DAX for my measures in Power Bi Desktop and this did it. However, the query that worked was the one labeled “Attributes”, to which I added the Expression field to get the formula.